Great Britain's Jacqui Slack took seventh place today at the 2016 Snowy Mountains ITU Cross Triathlon World Championships in Australia, meaning she has now filled every position from 4th-7th over the past four editions of this event, the ETU European Silver medallist this year still seeking that elusive World Championship podium finish. 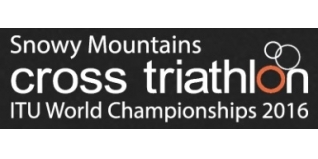 Ruben Ruzafa (ESP) and Flora Duffy (BER) were crowned the king and queen of the rugged Snowy Mountains range after winning the 2016 Snowy Mountains ITU Cross Triathlon World Championships. The pair conquered one of the toughest and technical world championships courses ever produced, Ruzafa earned an unprecedented third consecutive title, while Duffy earned back-to-back wins and her third world championship title for 2016. Duffy entered the race as the defending champion, reigning ITU World Champion, Xterra World Champion and raging favourite. She led from the gun and increased the margin at every change over to eventually win by four minutes from the pocket rocket, Chilean Barbara Riveros in the silver medal position, and Suzanne Snyder (USA) taking bronze. But once Duffy got onto the single-track mountain bike leg she was out of sight and amassed a huge four minute lead off the bike. With limited time spent on her mountain bike McShane lost ground over the two lap, 16.4km loops. With McShane’s lack of bike handling skill she was soon overtaken by the last minute inclusion to the start line for Riveros, recovering from a broken foot and with no run training. That didn’t seem to affect the fleet-footed Riveros who easily glided over the tough run trails and onto the podium for a second successive silver medal at the World Championships. He was the hunter for the first part of the race, as he predicted, but his patience, experience and skill earned Ruben Ruzafa a third ITU Cross Triathlon World Championship. “I thought the race would be more hard because the cause was flat. In the swim I lose less than I thought, maybe 1.20, and I caught the riders early in the beginning of the lap,” said Ruzafa.